On Thursday Chenango Valley School District held a Veteran's Day Assembly for family members and friends of students from Port Dickinson Elementary. Students came to school wearing their favorite red, white and blue colored shirts to show support for the veteran's who attended the ceremony. 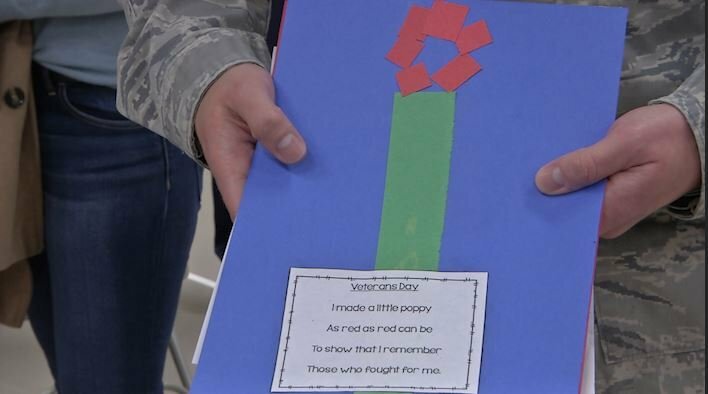 The students wrote poems, and made special cards for the veteran's as well sang patriotic songs including the National Anthem and Pledge of Allegiance. Rich Fredrickson, an Army veteran from today said " "it's always patriotic and very emotional especially with the older veterans to see the children appreciate like the Vietnam vets and the older vets here today". He also had a PSA for parents of younger children across the Southern Tier, saying "teach your kids the importance of patriotism and standing behind your country especially in today's political climate". The Chenango Valley School District will be holding another Assembly on Friday at Chenango Bridge elementary.